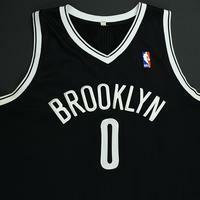 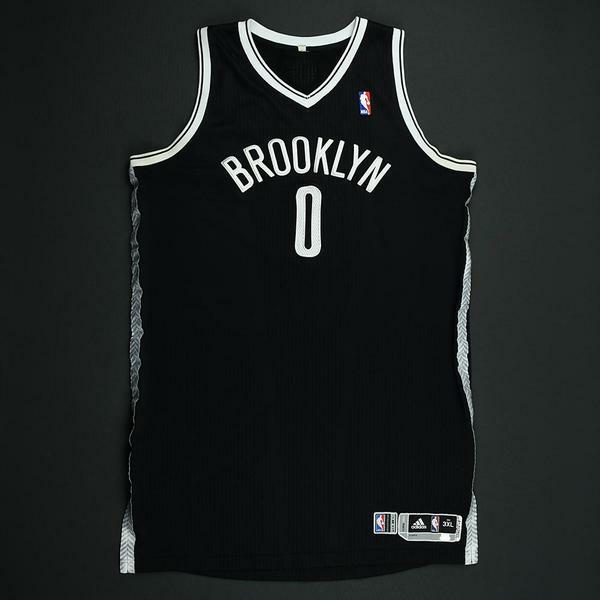 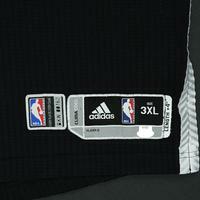 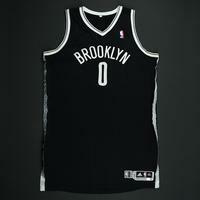 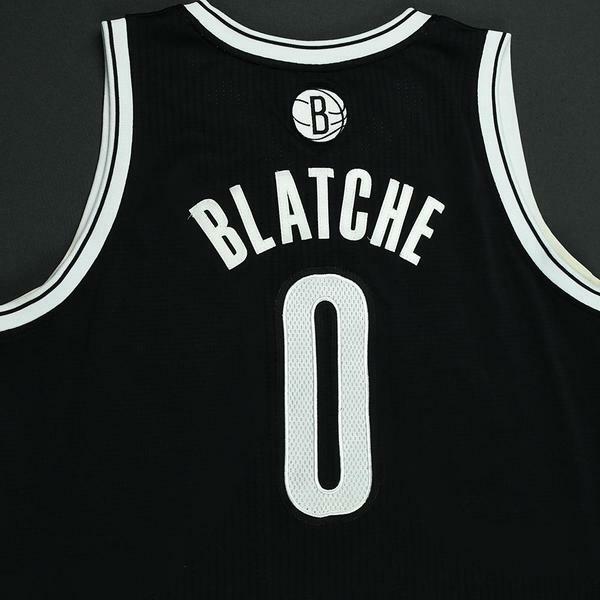 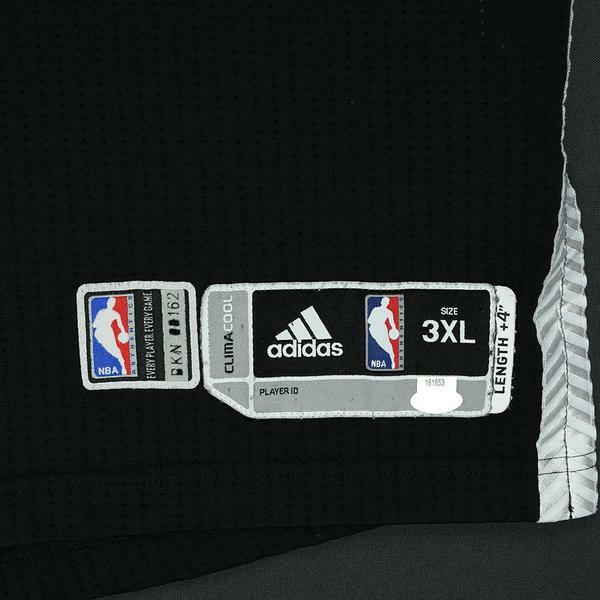 Andray Blatche wore this black jersey while playing for the Brooklyn Nets during the 2012-13 National Basketball Association season. 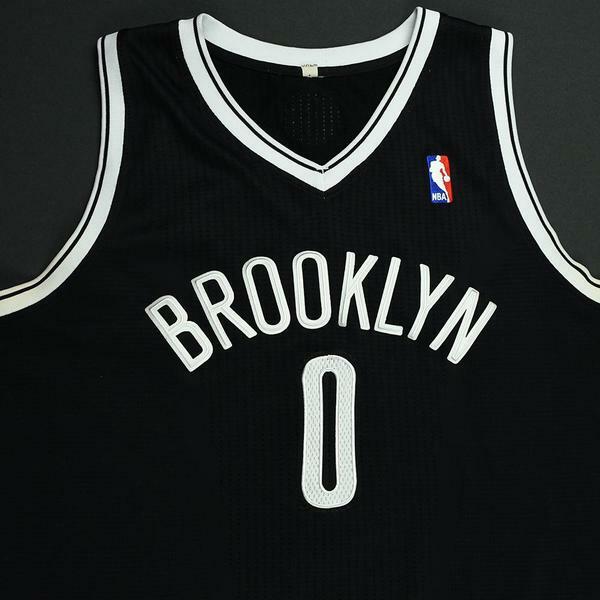 It is photo-matched to the Nets' 111-93 victory over the Portland Trail Blazers on March 27, 2013 at Rose Garden Arena in Portland, OR. 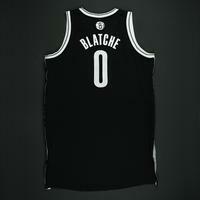 Blatche averaged 10.1 points and 5.3 rebounds per game in 2012-13 for the Nets, one of two seasons in which he did not miss a game. He averaged 10.1 points and 5.1 rebounds per game over the course of his nine-season, 564-game NBA caerer.